LPC Kicks off the Year in Style! 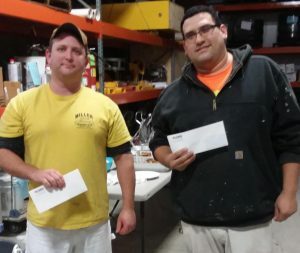 Employees who worked on 5 Diamond projects in 2018 were presented awards for working safely, and providing quality work. How much paint was used? How much masking paper/film was used? How much tape was used? How much abrasive was used? 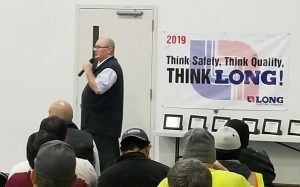 Dan Roush, the Director of Environmental Health and Safety revealed the winning safety slogan to the crowd. 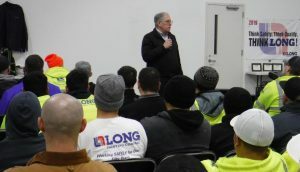 The Workforce Development Manager, Clint Nold discussed industry training requirements and reminded everyone to keep up on their individual training and certifications. Lastly, service awards were presented to dedicated employee’s who have worked at Long Painting for 5, 10, 15, 20 and 30 years. 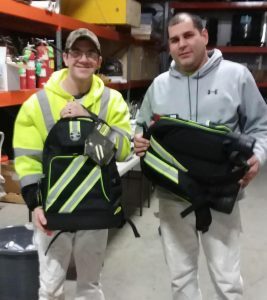 We at Long Painting look forward to working safely in 2019!